The two-day iHeartRadio Music Festival, where the music of the iHeartRadio app comes to life, came to a close Saturday night following a weekend of incredible performances by the biggest names in music. The Festival, which celebrated the success of the iHeartRadio all-in-one digital audio service, included performances by over 40 artists, both on the main stage at the MGM Grand Garden Arena in Las Vegas on September 20 and 21 and at the all-new iHeartRadio Music Festival Village on Saturday afternoon. 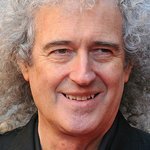 Ryan Seacrest kicked off the Festival Friday night at MGM Grand with performances by artists Robin Thicke, fun., Keith Urban, Muse, Tiesto, J. Cole, Elton John, Benny Benassi, Chris Brown, Katy Perry and Queen + Adam Lambert. Paul McCartney opened the second night, and reset the already high bar with an eight-song set that included a medley of songs combining work from his upcoming album New with some of his most classic hits. 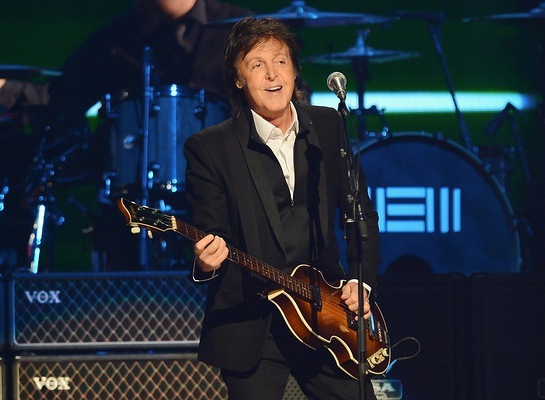 McCartney used the Festival stage to debut three new songs. The action continued throughout the evening with back-to-back top-notch performances including Zedd, Maroon 5, Tim McGraw, Miley Cyrus, Thirty Seconds to Mars, Bruno Mars, Phoenix, Miguel, Ke$ha featuring Joan Jett, Drake and Justin Timberlake. The iHeartRadio Music Festival was a dominant social media topic throughout the weekend, and #iHeartRadio continues to trend with tweets and retweets from fans as well as artists and Festival presenters. The weekend also included a gathering of over 20,000 music lovers at the new daytime iHeartRadio Music Festival Village, which featured live performances on two stages by nearly a dozen popular and up-and-coming artists including Miley Cyrus, The Wanted, Jason Derulo, The Band Perry, Avril Lavigne, Krewella, Cher Lloyd, twenty one pilots, Pete Tong, AWOLNATION and a special guest appearance by Ne-Yo released by 20th Century Fox, SMIRNOFF Vodka, State Farm, and Shriners Hospitals for Children. This year’s two-day iHeartRadio Music Festival brought to life the music of the iHeartRadio app and offered fans an opportunity to enjoy a weekend of incredible live music and surprise performances by their favorite artists. Throughout the year, iHeartRadio delivers everything listeners want in an all-in-one platform: Instant access to more than 1,500 radio stations from across the country, user-created Custom Stations inspired by a favorite artist or song, thousands of curated digital stations “Perfect For” any mood or activity, and the new iHeartRadio Talk feature giving users access to the best on-demand news, talk and entertainment content available today. True to radio’s commitment to serve the communities in which we live and work, the iHeartRadio Music Festival has partnered annually with a number of nonprofit organizations. In the past three years, the Festival has helped raise $1 million for a number of national charities, including the American Association of Cancer Research, the Alliance for Lupus Research, Muscular Dystrophy Association, The Ryan Seacrest Foundation, Young Audiences of New York, Eric Trump Foundation, Cure Duchenne, Shriner’s Children’s Hospital, and many more. Additionally, The Festival has created dozens of irreplaceable memories for a number of critically ill children and their families through its partnership with Make-A-Wish Foundation and other similar organizations.